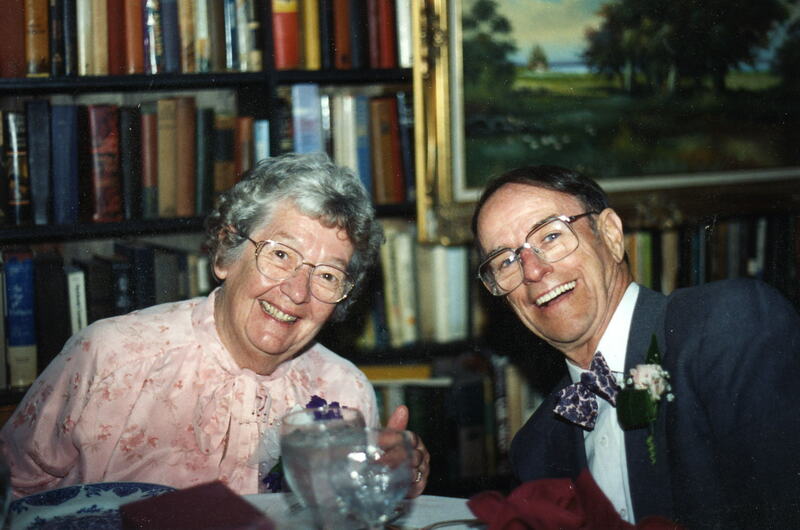 Walter F. Shanahan died peacefully, surrounded by loved ones, at his home in Lowell, Wednesday, December 9, 2009. He was 90 years of age. He was the husband of the late Mary Caroline (Leduc) Shanahan of Graniteville, MA and the son of the late Agnes (O'Connell) Shanahan and Walter Cornelius Shanahan. Born November 5, 1919, he was a lifelong resident of the Greater Lowell area. Mr. Shanahan was a 1938 graduate of Lowell High, received an associate degree and Master's certificate from Franklin Technical Institute in 1948, and earned a teaching certificate from Fitchburg State College in later life. An aviation radioman first class in WWII, he was honorably discharged from the United States Navy in August 1945 after enlisting in and serving for three years, two of which were spent in the North African theatre flying on PBYs. He was a disabled veteran of that war. 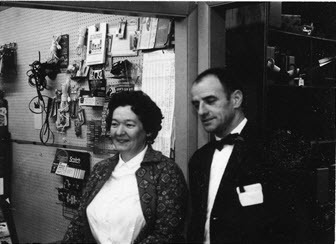 In 1951 he co-founded, with his beloved wife Caroline, Shanahan Electronic Services, Inc. where he was known as "the Man with the Bowtie"; the business continues to operate in the Highlands section of Lowell to this day, as Shanahan Sound and Electronics, Inc. Active statewide in the electronics industry, Mr. Shanahan was instrumental in generating legislation for licensure of electronics technicians in the state of Massachusetts and was one of the first to obtain licensure. He was a lifelong learner and promoted statewide requirements for continuing education credits for re-licensure and consistently maintained his own CEUs at Boston University and Franklin Technical Institute. He was a founding member of the Massachusetts Electronics Technicians Guild (ETG) and a president of the Lowell chapter. Mr. Shanahan was very active in the Lowell business community and in business and community organizations. In 1979, he retired from Shanahan Electronics to begin his next career-as a "tough but much loved" teacher of electronics at the Greater Lowell Regional Vocational School, where he continued his reputation for excellence. He taught until he retired, again, in 1990. By 1996, at the age of 78, he was ready for yet another career, realizing a lifelong dream he and his wife of 51 years, who passed away in 1993, had shared-opening an antiques shop. An inveterate collector, especially of lighting parts, pieces and fixtures, he opened Ye Olde Light Shoppe in Lowell. For the next twelve years, he collected and sold antiques, repaired lamps and electrical equipment-a lost and dying service, and with great artistry created elaborate chandeliers and lighting fixtures for architects, interior designers and private individuals. Only within the last few months of his life did he stop going to his shop at least once a week. Mr. Shanahan loved music and had a wonderful tenor voice. He sang at every opportunity and instilled his love of music and singing in his children. Mr. Shanahan is survived by three daughters and five sons, nine grandchildren, and nine great-grandchildren, all of whom, along with 100 friends and family, celebrated his life and his 90th birthday with him on November 28, 2009-an event he called "magnificent!" His survivors are Maryanne Shanahan, of Camden, ME, and her husband William C. Amidon; Walter Timothy Shanahan, of Derry, NH, and his wife, Carol A. Shanahan; Kevin D. Shanahan, of Lowell; Daniel J. Shanahan, of Simi Valley, CA, and his wife Teresa A. Shanahan; Catherine A. Shanahan, of Lowell, and her partner, Michael J. Manfreda; Margaret C. Shanahan, of Lowell, and her partner, Ahmad Radey Shouman; William F. Shanahan, of Apex, NC, and his wife Stacey A. Shanahan; Patrick M. Shanahan, of Claremont, FL, and his wife Billie Sue Shanahan. 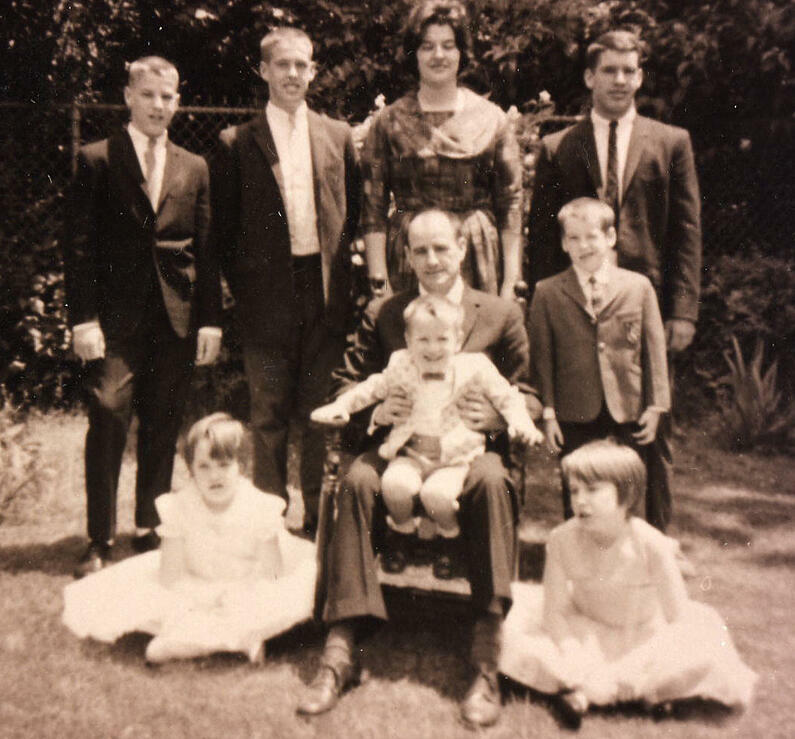 Grandchildren and their families: Timothy J. Shanahan and his wife Karen L. Shanahan, of Raymond, NH, and their children, Kalena and Joseph; Erin Shanahan Bajger and her husband Stephen Bajger, of Newmarket, NH, and their children, Mackenzie, Jakob and Nickolaus; Walter Ryan Shanahan, of Plaistow, NH, and his wife Mara L. Shanahan; Rebecca Shanahan Galligani and her husband Stephen Galligani, of Lowell, and their children, Kevin and Angelina; Daniel Adam Shanahan, of Simi Valley, CA, and his partner Shaylene Dorman, and their son, Brendan; Kaitlin M. Shanahan, of Simi Valley, CA, and her daughter Riley Karoline; Joseph W. Shanahan and Michael P. Shanahan, of Simi Valley, CA; and Jaymie Shanahan, of Apex, NC. Additional members of the Daniel J. Shanahan family: Kyle R Cohen, Jacob P. Cohen, and Frank R. Cohen, all of Simi Valley, CA..
Mr. Shanahan also is survived by his cherished companion of nearly five years, Elizabeth Donovan, of Chelmsford; sisters-in-law Shirley Shanahan of Chelmsford and Lorraine Leduc, of Westford; brother-n-law John Tarrant, of Sun City, FL; cousins Elizabeth Holton and Florence Holton, of Lowell; nine nieces and nephews and 24 grandnieces and grandnephews. Walter Shanahan was loved by all who knew him. He was hero to his children and grandchildren, "brave and loveable" to his great- grandchildren, surrogate father to many of his nieces and nephews, mentor and teacher, and always there when any one of his family or his friends needed him. He gave the gift of love to everyone whom his life touched, and in his full and active life he touched many. Read the personal tribute from Shanahan President, and daughter of Walter, Catherine Shanahan.